We all are aware that social media marketing, search engine optimization, and pay per click advertising are some of the best strategies for promoting content or brand. The reason behind it is these influences the large audiences. 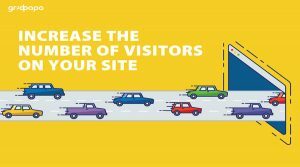 Do you really think that these will work the same for bringing the regular visitors to your WordPress website? Well actually, they can’t. You have to make your own plan of actions using these platforms for bringing regular visitors to make your website a successful brand among people. This article will show you more interesting ideas for getting the regular audience and holding them on your WordPress website. It will allow the invitees to use its content once they sign up for the membership. You can charge a fee or give a free membership. But remember, charging a fee motivates the members to come back to a website very frequently. A regular promotion is a certain way to upsurge the number of regular visitors on your website. You should put efforts for accelerating regular promotional offers because one big promotion is insufficient to encourage the viewers to revisit your website. After visiting a website people can easily forget it and there is always an uncertainty that they may return to the same website again or not. If you host webinars, you are giving a reason the audience to get back to your website and become regular visitors of it. A webinar helps the viewers to schedule time for your site from their busy lives. Online competitions are very helpful in endorsing online business globally as you may get participants from any corner of the world and helps in driving heavy traffic to a website. You just need to select a good plugin to engage more and people with your website visitors and encourage them to be the regular visitors of it. Select the any of the appropriate options for your website. Even you can try a mix of one or two ideas for an effective promotional strategy. Monitor your plan that whether it is working properly. If it is not doing as per your expectations then you so that you change it to get regular visitors.